I love to give a gift from my kitchen this time of year. I think it’s a lovely way to show my affection at a reasonable cost, while not burdening my recipients with an item they’ll have to store or feel compelled to display. It’s a perfect plan, except that most of the things I enjoy making are really only good for a short while. I can whip up a delicious batch of homemade cinnamon rolls or my grandmother’s sugar cookies with (if I do say so myself) impressive results. But after three days or so, what was a special holiday treat is a stale reminder that I didn’t run into that friend like I planned or the neighbor I adore has been in the mountains skiing since Friday instead of waiting at home to receive a homemade treat from me. Some years, I try to employ my freezer to keep treats fresh, which can be a dicey proposition. Freezer space is a precious commodity this time of year, what with the turkey or ham taking up the majority of the available cubic footage. Additionally, a lot of my most treasured holiday recipes produce delicate results, which often get crushed or wilted in the cold of the freezer. Some of my most talented friends make massive batches of homemade candy this time of year, producing gifts that have made me weep with holiday joy as I eat every last morsel. Candy is technically difficult, however, and I have yet to master anything more complicated than simple chocolate truffles. Even those sometimes trip me up if I try to dip them in chocolate coating, as I tend to have problems keeping the dipping chocolate at the right temperature, which tends to give me results that are goopy and misshapen. 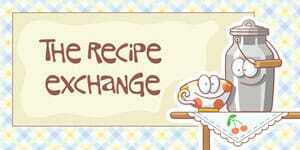 I have stumbled across a recipe that comes close to a box of homemade candy without all the muss and fuss. 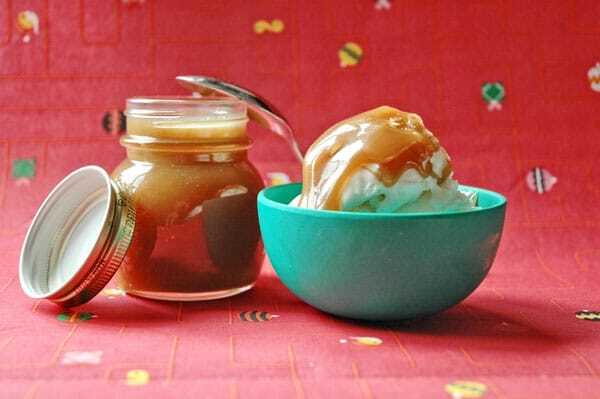 After a fair bit of trial and error, I have perfected a recipe for caramel sauce given to me by a friend years ago. I ate said sauce on vanilla ice cream at a holiday party in her home, and was so taken with it, I sneaked into the kitchen to drizzle a little into my empty bowl and slurped it out of my spoon like a hungry toddler. The directions given with the recipe were a bit vague, but my friend had assured me it was super simple, almost disaster proof, so I whipped up a pot and then served it to company over ice cream. Rather than staying soft and runny like my friend’s creation, my caramel solidified into a wretched, sticky mass. I gamely took a bite, but as I chewed, I worried that my fillings – or even my teeth themselves – might come loose if I continued. I tried again. And again. And again, each time altering my technique a bit until I got it just right. I prefer not to use a candy thermometer simply because it further complicates what is already a sticky and precise process. Instead, I time the cooking of the caramel, taking it off the heat after it’s been boiling for exactly three minutes. Trust me on this, three minutes is the magic number. Any shorter than that and it will be grainy and loose. Longer than that, and it’s better suited to being used as a building material than a delicious treat. Once the caramel is just right and has had a few minutes to cool, I pour it into festive gift jars or canning jars, tie it with a holiday ribbon and stash it in the fridge, ready to spread a bit of Christmas cheer whenever the time is right. The sauce will keep for at least three weeks, making the season last a good long while, with one less thing to stress about. This sauce is good on ice cream, pound cake or all by itself. Assemble all ingredients, measured and ready to be added to the pan, near the stove before starting. Keep a kitchen timer handy, too. Melt butter over medium heat until completely liquid, then add brown sugar, corn syrup and cream and bring to a boil, stirring constantly. Once mixture begins to boil, set the timer for three minutes, then stir continuously until time is up. Remove sauce from heat and allow to cool for a few minutes before putting it in desired container. Sauce will thicken as it cools. Store the sauce in the refrigerator for up to three weeks.